Dr Tony Cassimatis is a Brisbane dentist who provides general dentistry, cosmetic dentistry and orthodontics including GlamSmile Porcelain Veneers, Fastbraces and Teeth Whitening. 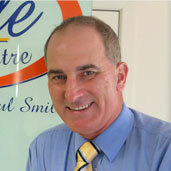 Dr Tony earned his dental degree from the University of Queensland and has been practicing dentistry since 1983. He opened his practice in Camp Hill in 1990 and has been in the same location since then. He absolutely loves where he lives and works and many of his patients have been with him from the start, referring friends and family members .